There is something intriguing about taking the classic gameplay of the original Pac-Man series and turning it on its head. That’s exactly what Pac-Man Championship Edition 2 Plus does. It’s fast and in your face, but never feels unbalanced. 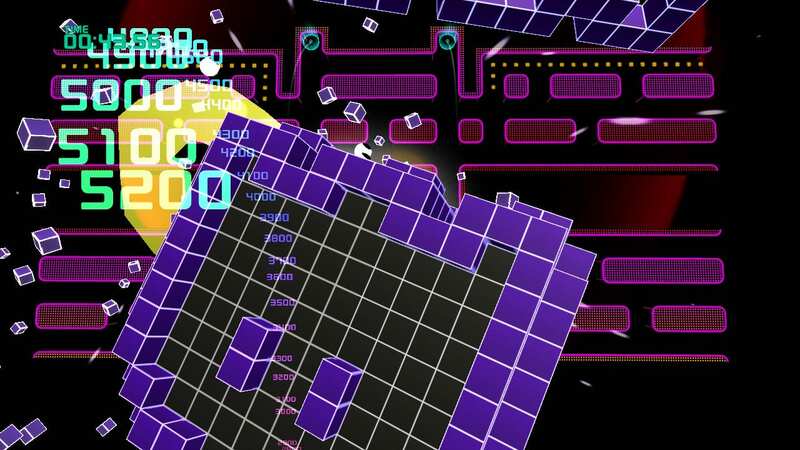 It probably wasn’t an easy task to reinvent the Pac-Man formula, but developer Bandai Namco Studios has done so in an effective way. 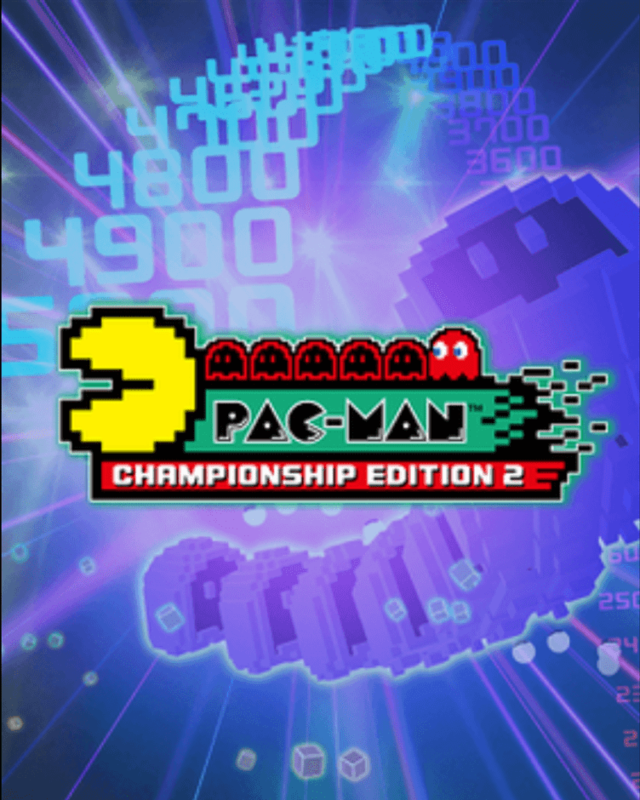 Pac-Man Championship Edition 2 first released in 2016 to generally favorable reviews. That being said, a few things were criticized, like the lackluster boss fights and frame-rate issues. Unfortunately, these issues are still present in the Nintendo Switch version. When many enemies appear on screen, the game noticeably slows down, and my performance was impacted. It’s not the end of the world, but in such a fast-paced game, keeping a high, consistent frame rate is critical. Moreover, boss fights are still dull because they don’t feel any different from the rest of the gameplay. What Championship Edition 2 Plus does get right is its gameplay. The level of focus needed to complete the adventure mode is striking, but it feels so satisfying when you achieve it. In adventure mode, time-based levels are unlocked as you progress. As each section is passed, more time is added as a reward. I often found myself barely making it through these levels. Getting through a level with only seconds to spare is not only exhilarating, but further establishes how intense this game can get. Each level has a star rating system, extending the replay value for players. The core mechanic of collecting pellets is still here, and the pellets lead to fruit or the ability to consume ghosts. Unlike the traditional formula, Pac-Man Championship Edition 2 Plus allows the player some room for error. Hitting a ghost no longer results in instant death, but instead only angers the ghost. 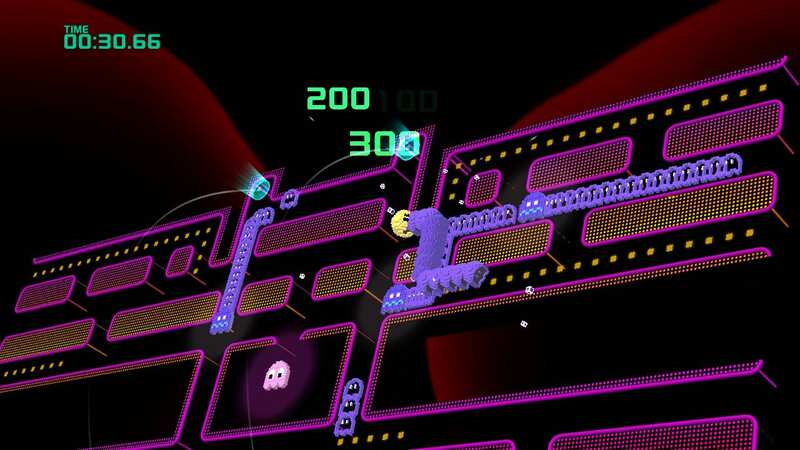 Only after being bumped three times do ghosts actually come after Pac-Man. This is a feature that makes the game way more enjoyable, especially coming from a novice player like myself. Although I don’t recommend jumping into this mode without knowing how to play, the game does feature a robust tutorial that’s superb for newcomers. 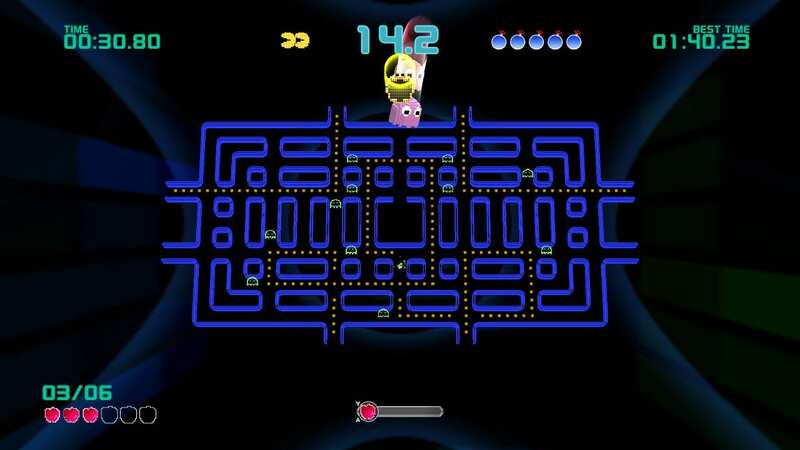 Aside from adventure mode, the game features a score attack mode. As the name suggests, players are given a set time limit to get the highest score possible. The catch is that as the level progresses it gets faster, making it more difficult to stay alive. This is a neat little mode that will almost certainly bring out the competitive nature in anyone. After beating a stage, players can compare scores on the leaderboards, which brings a sense of community to score attack mode. Aesthetically, it doesn’t stray too far from the Pac-Man we know and love. There are some beautiful visuals during the boss battles, as well as when Pac-Man chomps down on a train of ghosts. These stylized animations are rewarding and made me look forward to getting through the stages. And while the soundtrack isn’t mind-blowing, I did notice my head bobbing a few times throughout my time with this. Unfortunately, the Switch version doesn’t feature anything too substantial over the other versions. The main enhancement is the ability to play two-player locally. It’s easy to envision a couple of buddies grabbing a Joy-Con each and working through these exciting levels. Even though it’s presented as a more casual experience, there is some communication needed to be successful. Proper communication is rewarded with high scores and doing so makes it much more fun. Co-op isn’t the only benefit of the Switch version. One, Nintendo’s making good on their promise to have more multiplayer games on the platform. Two, having this game on the go is great because it can be played in short bursts. 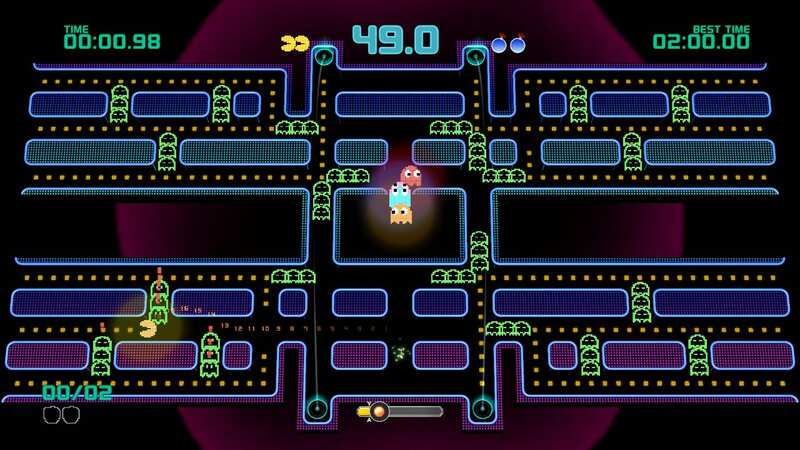 Pac-Man Championship Edition 2 Plus is an interesting little game with many good ideas. The implementation of a second chance against ghosts makes this an ideal entry point for new players, but it still has the challenge to suit old veterans. In addition, the ability to play this with a friend is also a win, despite minor frame-rate issues. Its flashy visuals also make this worth getting, especially for $20. 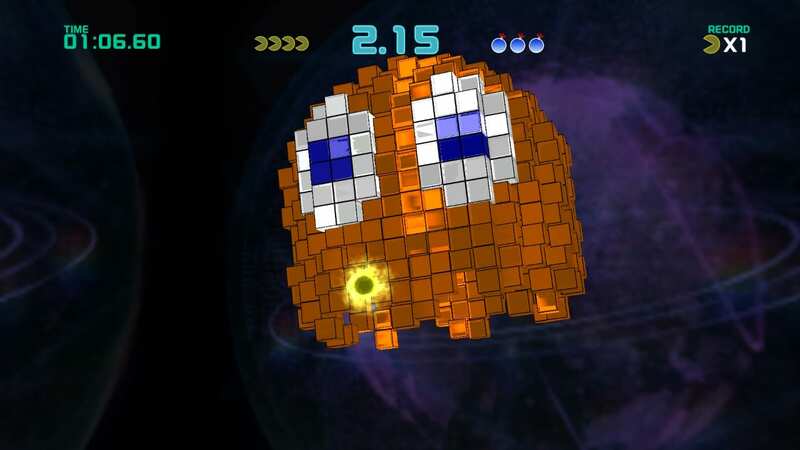 The fact that Namco Bandai was able to successfully keep the heart of Pac-Man but include a new spin on the series is what makes this so much fun to play. Joseph is an NKU graduate currectly residing in northern Kentucky. He loves action RPGs like Monster Hunter, Bloodborne, and the Witcher. Joseph is a pretty big fan of the Nintendo Switch. It's a great system for traveling, which he does A LOT of.